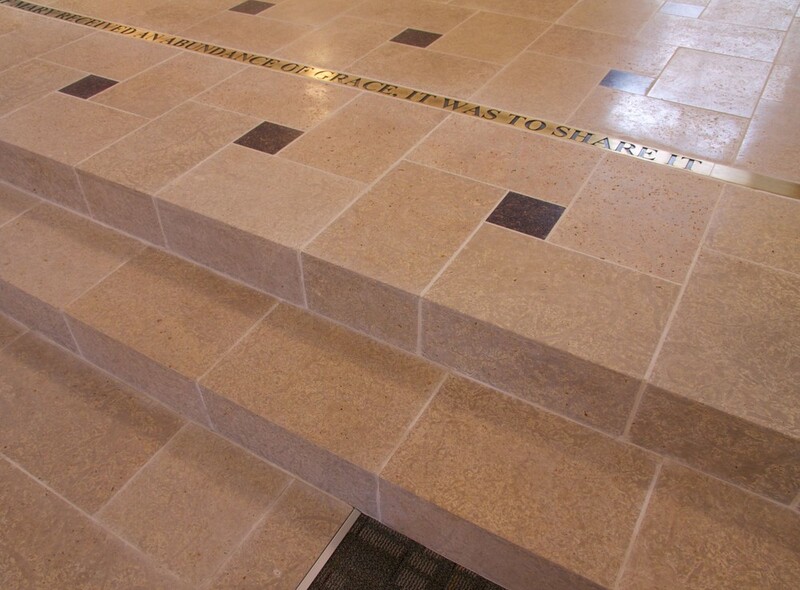 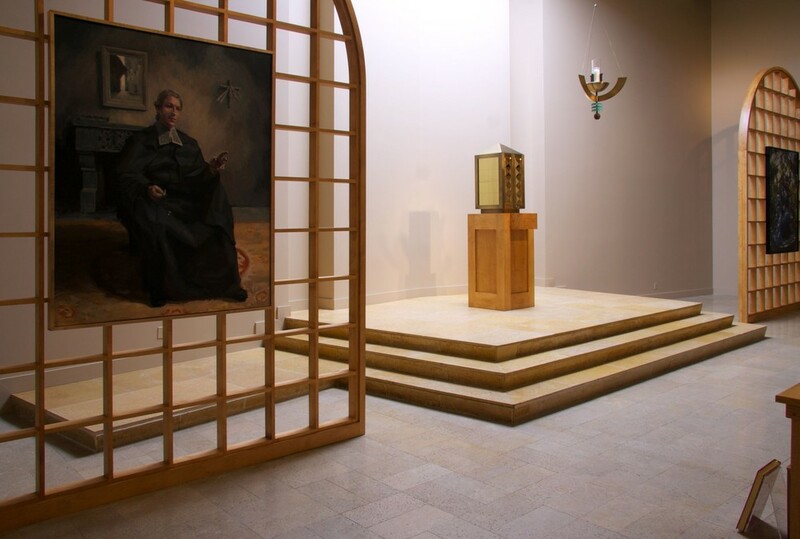 Biesanz Stone was chosen for an altar remodel at the Saint Thomas More Chapel in Winona, MN. 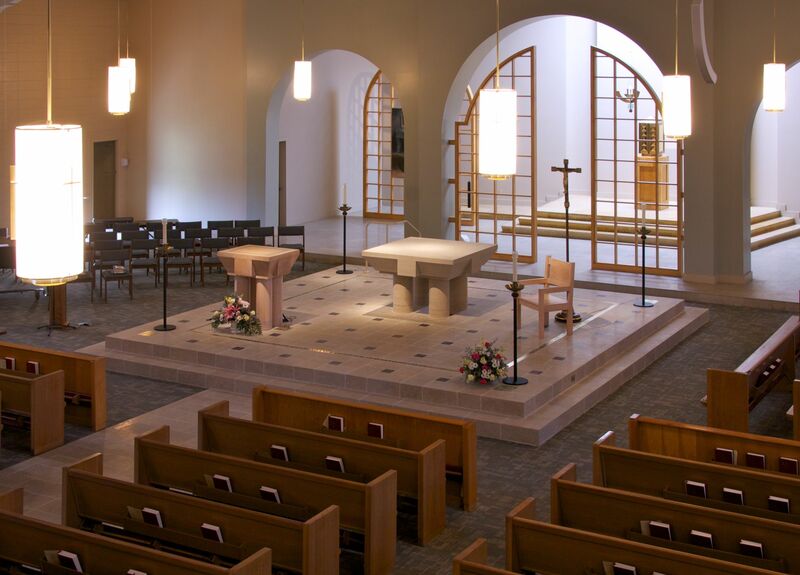 The altar features an elevated platform with honed Biesanz MDL and Carnelian granite accent tiles. 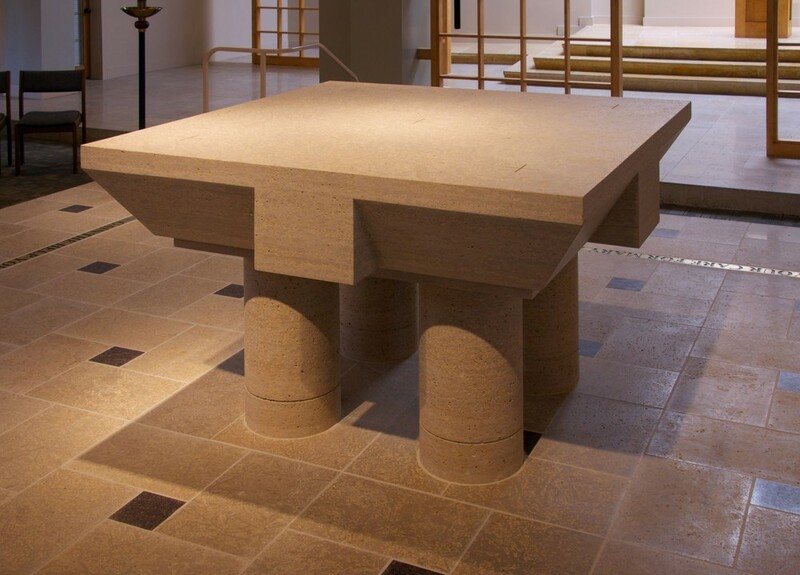 Weighing in at 4,600 pounds, the altar is a single piece of honed and sanded MDL that was machine and hand fabricated to provide the unique architectural design. 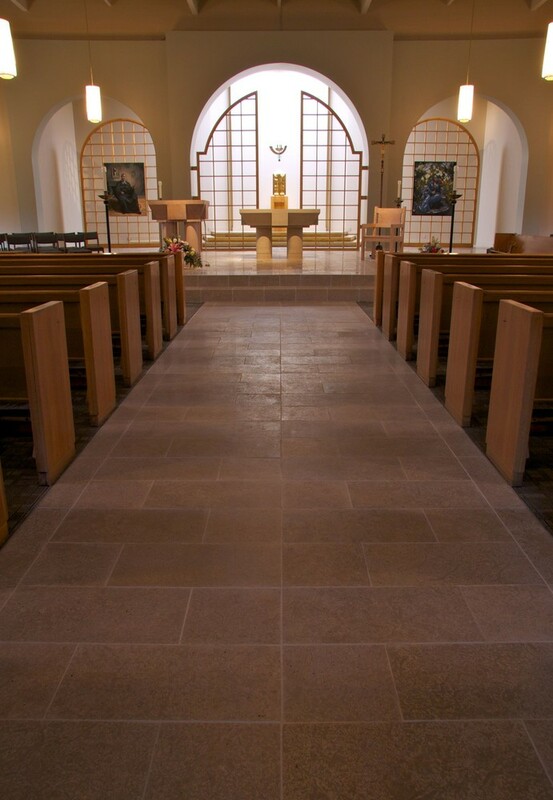 MDL tiles also make up the aisle to the platform and altar.